Catch it until August 22. (SPOT.ph) "What have they got in there, King Kong?" Ask any kid who grew up in the '90s and he/she would know that larger-than-life dinosaurs roam free behind the gigantic park gates—in Jurassic Park, at least. 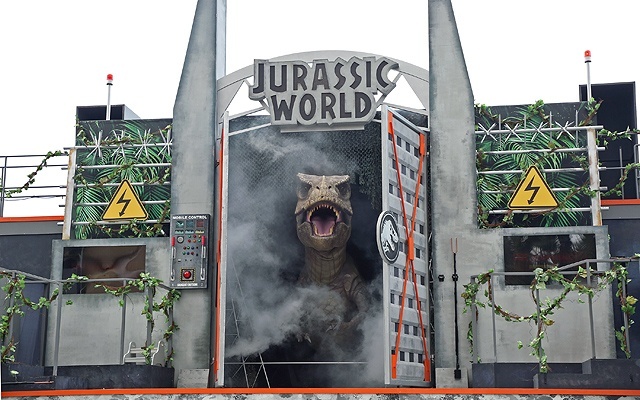 From June 2 to August 22, this make-believe world of Steven Spielberg comes alive at Universal Studios Singapore through live-action shows, an augmented reality experience, and other interesting displays that are all part of Jurassic World: Explore and Roar! This is in celebration of the fifth Jurassic Park franchise, Jurassic World: Fallen Kingdom, that came out on June 7 in Singapore. 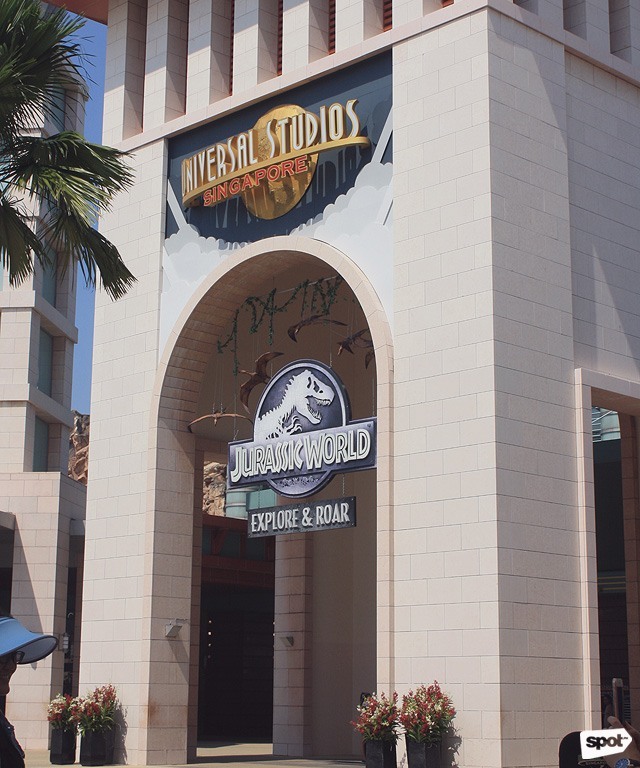 Embark on an exciting adventure at Jurassic World: Explore and Roar. The Stegosaurus clone was first seen in the 1993 film Jurassic Park. 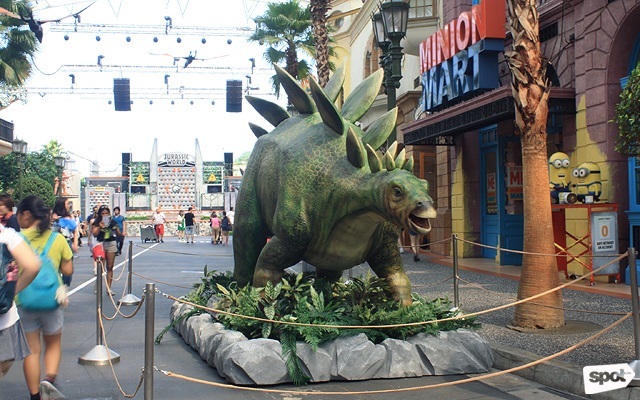 Hollywood Boulevard, the first zone that you pass through at Universal Studios Singapore (USS), features a life-sized statue of the Stegosaurus and an authentic prop replica of the iconic Gyrosphere. You can also follow the huge Tyrannosaurus footprints and follow dinosaurs roaming around the park (they're not real, of course). Catch the live-action show Jurassic World: Roar! at the Hollywood Lagoon Stage every 1:30 p.m., 4 p.m., and 6:30 p.m. daily. 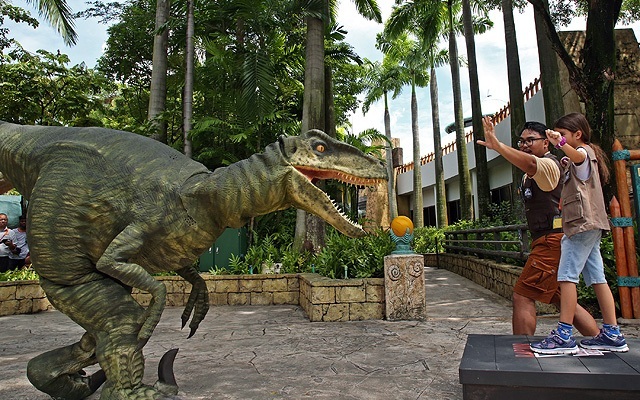 Find out how you can handle a Velociraptor at the Raptor Training School. 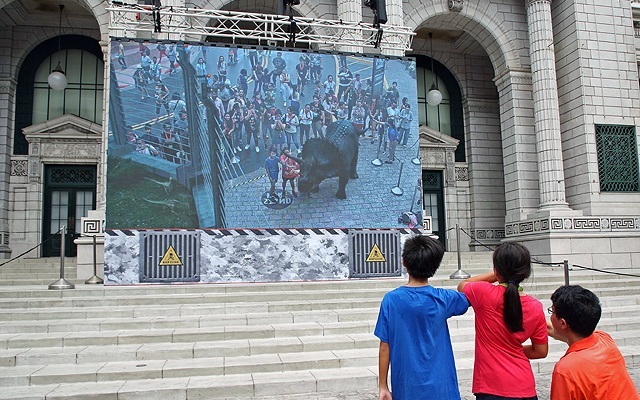 Get up close and personal with a Triceratops through augmented reality. 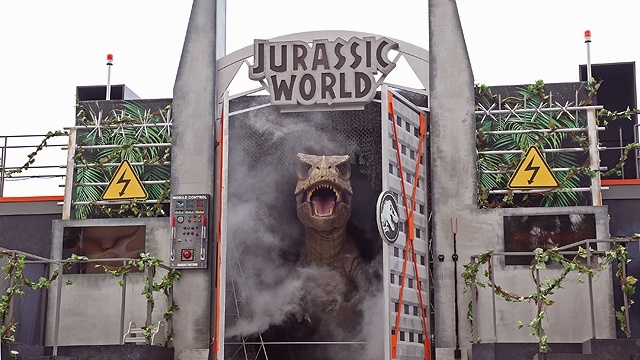 Headlining USS' Jurassic World experience is a brand-new live-action show titled Jurassic World: Roar!, which features swooping Pteranodons and the mighty Tyrannosaurus trying to escape from the park. 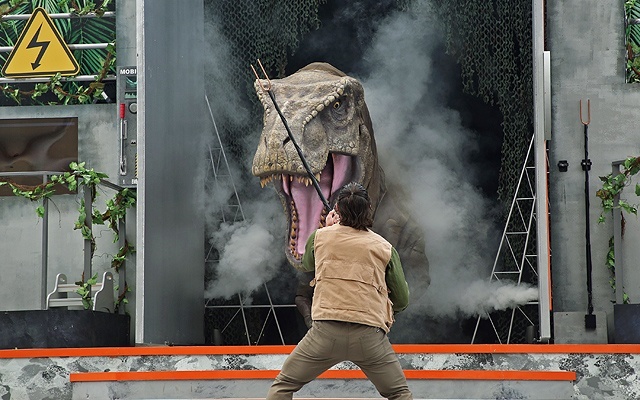 Fans can also sign up for the Raptor Training School where Wyatt, the resident raptor trainer, can teach them a thing or two about taming the intelligent Velociraptor. More voracious reptiles come alive through Jurassic Encounter, an augmented reality show projected on the big screen in front of the New York Public Library down Hollywood Zone. Finally, there's always the good ol' Jurassic Park Rapids Adventure for the thrill-seekers. Jurassic World: Explore and Roar! runs until August 22 at the Universal Studios Singapore, Resorts World Sentosa, 8 Sentosa Gateway, Singapore. 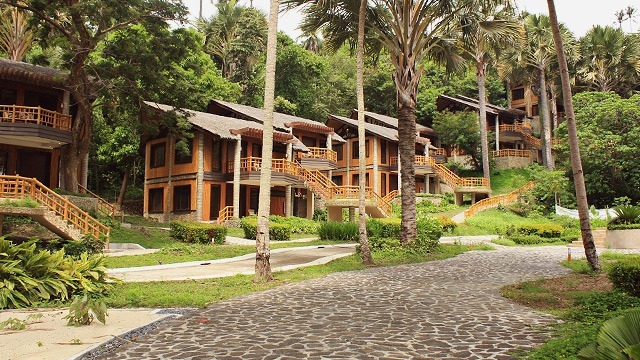 It is open from 10 a.m. to 8 p.m. from Sunday to Thursday and from 10 a.m. to 10 p.m. from Friday to Saturday. Tickets, priced at SGD 76 for adults and SGD 56 for children, are available through Resort World Sentosa's website. 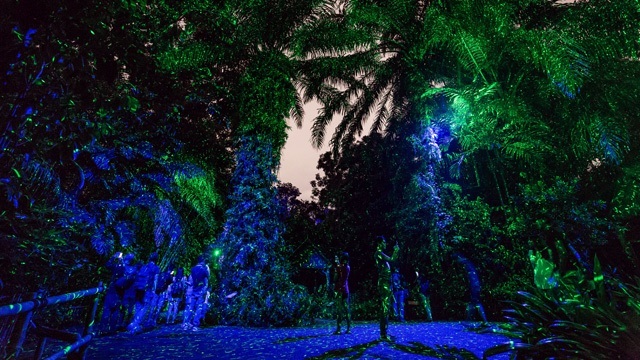 For more information, visit Singapore Tourism's website. Singapore Airlines flies daily from Ninoy Aquino International Airport Terminal 3 in Manila to Changi Airport in Singapore. Andaz Singapore is directly connected to the Bugis MRT station (via the Downtown and East-West Lines).